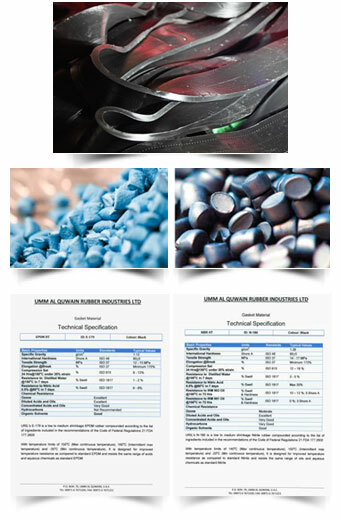 Located in UAE, URIL is a leading and well established manufacturer of seals & gaskets in Gulf region since 1992. In the year 2000 we started manufacturing PHE Gaskets & and now we have 14 years of experience in manufacturing PHE gaskets for reputed OEM's. Our success is built around one goal: "TO EXCEED OUR CUSTOMER'S EXPECTATIONS". URIL takes you from concept through production in the most efficient and cost-effective manner. For more than two decades, customers have been drawn to our quality, efficiency & competitive prices… and have stayed for the service. We are experienced in handling a wide variety of elastomers, such as EPDM HT PHE Gaskets and NBR HT PHE Gaskets, for a diverse range of industries. Working hard in hand with our customers we develop the best PHE Gaskets in UAE for specific requirements and solutions that really work. With the available resources we have the capacity to produce more than 500,000 PHE Gaskets per year. 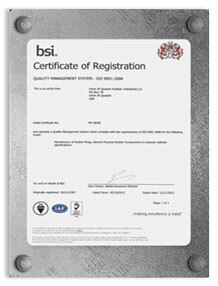 Our quality systems are recognized with ISO 9001 approval and we have been a BSI registered firm since 1997. It is hence, that we are reckoned to be a trusted PHE Gaskets Manufacturer. Strength: It is strong enough to withstand the forces normally incurred by squeezing into position and being acted upon by pressurized liquid. Hardness Range: The rubber is strong enough for the application but still soft enough to conform closely to the metal surface and provides a seal without undue stress being applied. Resistance: The high molecular weight, cross linked polymer matrix is resistant to penetration by any fluid of a dissimilar chemical nature to itself. Temperature: All Polymers will only behave as a rubber over a relatively short range of temperature. 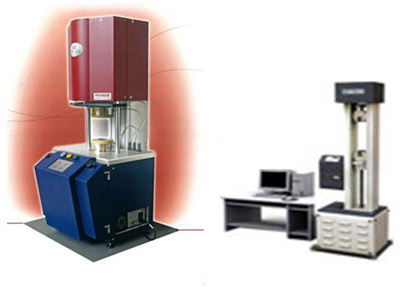 Thus careful selection of the compound according to the required temperature range is necessary. Although, we have compound suitable for customer’s need, our experience in polymer engineering enables the development of new compound to meet special requirements. We are capable of producing gasket moulds with the available database of plates dimensions, or by the plates and gasket sample supplied by customers as per requirement. URIL have a highly trained skilled workforce & make the best use of the facilities available ensuring quality for our customers. With the available mould making facilities we are able to manufacture moulds reducing lead times & ensuring consistently high quality product is available to our clients as per schedule. This combination of speed and quality promotes the enhanced confidence that clients have in URIL’s service. High tonnage shuttle compression moulding presses Post curing ovens with traceability system.